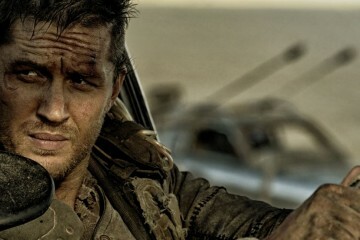 OSCAR A GO GO PART 4: Why Can’t An Action Film Win An Academy Award? I always try to convince my girlfriend to watch kung fu movies by saying “It’s just like So, You Think You Can Dance!”. It almost never works, but I want to make sure I admit right here and now that it’s mostly true. Does anybody really watch kung fu for the storylines or the characters? No. The narrative aspects of martial arts stories tend to take a backseat while the audience gets to stare in awe at amazing things pulled off by amazing athletes. If you’re on this site, I assume you have already seen The Raid: Redemption. A technical and artistic marvel, the Indonesian movie’s lack of recognition by an organization that gets to crown “Best Picture” is glaring evidence in favor of more recognition in the world of stuntwork. What is an action movie without fight choreography? 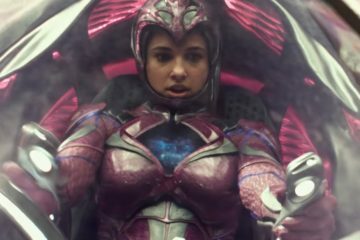 If most action movies act as some sort of “wish fulfillment” for the audience, then an integral part to the experience is letting the audience feel like they could be the star of the real-life version in a pinch. Basically: Huge explosions are awesome, but realistic punches are more engaging. The idea of choreography, just like any martial art, movement, or dance, is an inessential aspect of filmmaking as far as the Academy is concerned. I mentioned in a previous article that I would be perfectly willing to share with the also impressive world of dance choreography if it got some kicks and punches nominated. 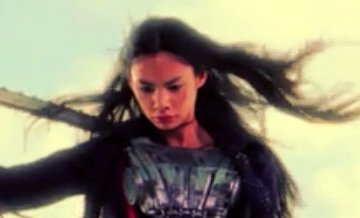 In the world of action film, fighting IS dancing (insert Zoolander joke here). 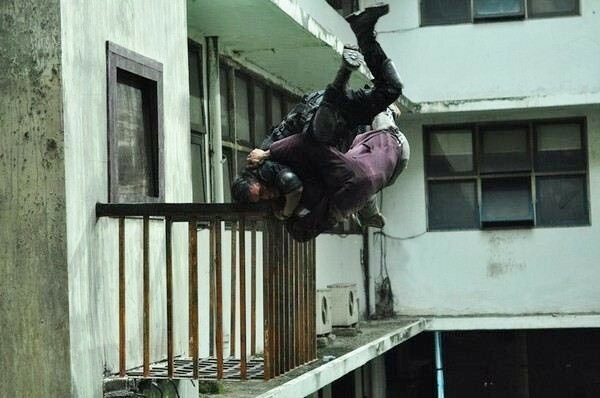 The Raid: Redemption should be required watching if you have ever enjoyed Action A go Go. In recent memory, I can’t think of a time when action movie lovers stood up as a group and said, “Yes… that one. That movie is the most badass!” But we did. 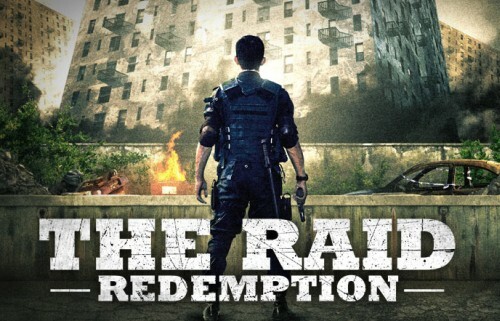 With a plot echoed in Dredd 3D, The Raid: Redemption is about a SWAT-like team that enters a tenement building run by a ruthless drug dealer only to fight an endless parade of minions on each floor in order to reach the top. Simple plot is set-up simply. 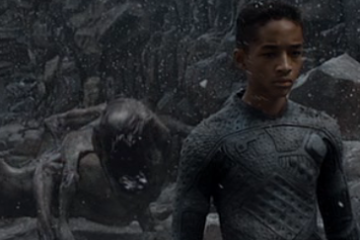 Coming into this movie cold, you might be a little disappointed by how quickly it jumps into the fighting. Right when the action starts at about 5 minutes in, the audience is presented with an overwhelming amount of gunfire, digital blood squibs, and extras falling down. But then our heroes are forced to hide in an apartment. They hole up only to be overtaken by nameless foes and gangsters straight out of the nonexistent Indonesian remake of Assault on Precinct 13. This is when the real “action” starts. Guns prove less efficient as the conflict moves up close and the tone of the film makes itself known immediately with a sickening CHOP! One of the cops slams an axe down on a perp’s shoulder and, in a subtle use of “wire fu”, proceeds to pick up the man’s entire body when lifting the axe in the air. 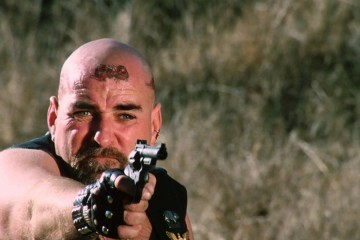 The next cut gives us a bad guy thrown onto his side by a cop who holds a gun to the side of the gangster’s head and proceeds to pull the trigger. We’re treated to a disturbingly close-up view of muzzle flares and blood splatter. This movie has announced itself as an impressive exercise in brutality and tells us to hold on tight from the get-go. One of the major “drawbacks” of your average kung fu movie is the lack of realism. People punch each other repeatedly until one is punched more and dies or whatever. There is little ramification for each individual punch. They act simply as lead-ins for the eventual “good guy wins” finale. What The Raid: Redemption brought to the table was an element of men literally fighting for their lives. A sense of sloppiness and brute force let each punch, kick, throw, and tumble cause the audience to grit their teeth and shout audibly at the concussive nature of the whole ordeal. Imagine the fight scene in They Live plus ballet. The impact of having a bloodstain appear where a knifed hand just hit, or a bad guy’s head be smashed repeatedly against a wall brings a visceral sensation that’s, honestly, almost too effective. 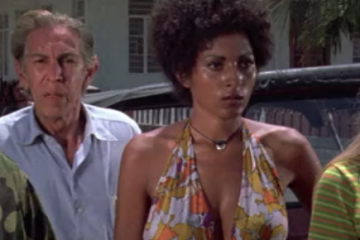 We are used to seeing James Bond karate chop a guy in the neck and knock him out immediately. This film requires repeated beatings to hammer home the fact that someone ain’t getting back up. Rarely is a body count so confirmed in a martial arts movie as we’re treated to brutal kicks in the head as well as repeated stabbings and gunshots for each victim. The camera lets the moves speak for themselves instead of relying on quick editing or overbearing foley work. In fact, the only overtly flashy technical work can be seen in the brilliant way that Gareth Evans’ camera moves with some of the more brutal hits. It creates the effect of bone-crunching viciousness with every hit. The editing is fast, but gives the impact of each hit time to resonate so the audience knows exactly what’s going on. In fact, the flow of the editing does a better job of making each fight seem like one continuous piece than any action film in recent memory. As an American, I’m usually against the kung fu trope of having TWO good guys facing off against the super powerful bad guy. We’re used to seeing the triumph of the underdog in our heroes’ arcs. However, one of the best scenes of this movie involves an expertly choreographed, athletic routine where “Mad Dog” (the ruthless henchman) takes on the two main characters at once. Through sheer portrayal of strength, ruthlessness, and infliction of injury the scene still packs a punch that specifically begs you to enjoy what seems to be a lopsided match. This movie gets high marks alone for the concept of stabbing Mad Dog in the neck with half a fluorescent light bulb, only to have him continue to fight as blood spurts out of the glass tube sticking out of his neck. Why this movie? This article could have easily picked the Best Picture Nominated Crouching Tiger, Hidden Dragon or 1984’s groundbreaking Eight Diagram Pole Fighter. Why didn’t I choose to talk about the wild and raw Ong-Bak 2 or the mainstream success of The Matrix? Hell, Bruce Lee should be the poster boy for this choreography non-category. The Game of Death practically has the same plot! I get it. All of those movies (and more) should have won the Academy Award in their respective years for the category that I just made up for fight choreography. But that’s kind of the point. The whole field is undervalued and the gamechanging The Raid: Redemption dared so hard to be different. That’s why it is the perfect example of why this category needs to exist. This movie may have been released in the US two short years ago, but it has drastically affected any fight scene I have seen or will see since watching it. 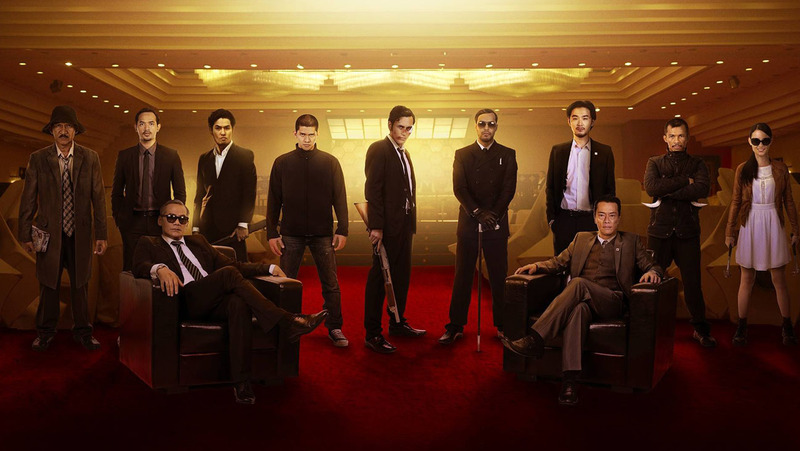 The most important takeaway here, I think, is… how awesome is The Raid 2 gonna be?! Previous Article'Guardians of the Galaxy' Sneak Peek Trailer Has Dropped! Next ArticleArtist Spotlight: Let's take a wild ride with the concept art of Benjamin Louis! Why Did I Watch ‘Gymkata’? – The Skill of Gymnastics. The Kill of Karate.